Around 16 Sudanese people have been killed in an attack by Ethiopian armed groups on the joint border, a Sudanese official said on Wednesday. Former chief of staff of the Sudanese army and current interior minister Esmat Abdel-Rahman (SUNA) Repeated clashes have been erupted on the Sudanese-Ethiopian border between the ’’Shifta’’ Ethiopian armed groups and the local Sudanese farmers during the recent weeks. Sudan and Ethiopia have agreed to settle their border disputes last year, but the agreement has not been implemented. Also the two countries agreed to deploy joint border patrols to combat the outlaws, human trafficking and the other criminals on the common borders. Sudanese minister of interior Abdel-Rahman Wednesday said that at least 16 Sudanese farmers have been killed and other 12 people injured in clashes with some Ethiopian armed groups in the border state of El-Gadaref. Abdel Rahman told the Sudanese parliament in a hearing session on Tuesday that the Ethiopian armed groups have attacked the Sudanese border forces and the farmers in the areas of ’’Fashaga’’, ’’Algalabat’’, ’’Giraisha’’ and Sanda in El-Gadaref. ’’At least 16 Sudanese civilians have been killed, 12 injured, 7 abducted and near to 300 cattle were raided in the past period by the repeated Ethiopian attacks,’’ said the minister. The Sudanese lawmakers urged the minister to deploy military and police forces to protect the Sudanese territories and the farmers. The National Assembly speaker Ibrahim Ahmed Omer has further requested the Sudanese ministry of interior to deploy more reinforcements on the border with Ethiopia and South Sudan. The Sudanese farmers on the border areas have repeatedly claimed that the Ethiopian armed groups seek to seize their fertile lands. 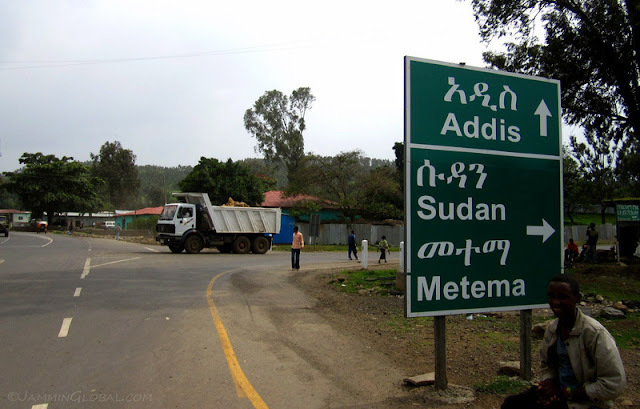 The Sudanese parliamentarian member for El-Gadaref town Ismail Ahmed Musa last week accused the Ethiopian armed groups of seizing 794 Kilometres of the Sudanese farm lands in the eastern Sudan state.